Last week, Dilwale Dulhania Le Jayenge completed 1100 weeks of its theatrical run at Maratha Mandir, Mumbai. This is a milestone worth celebrating and hence when newsbreak happened around a book on the film hitting the stands, I was reasonably excited. 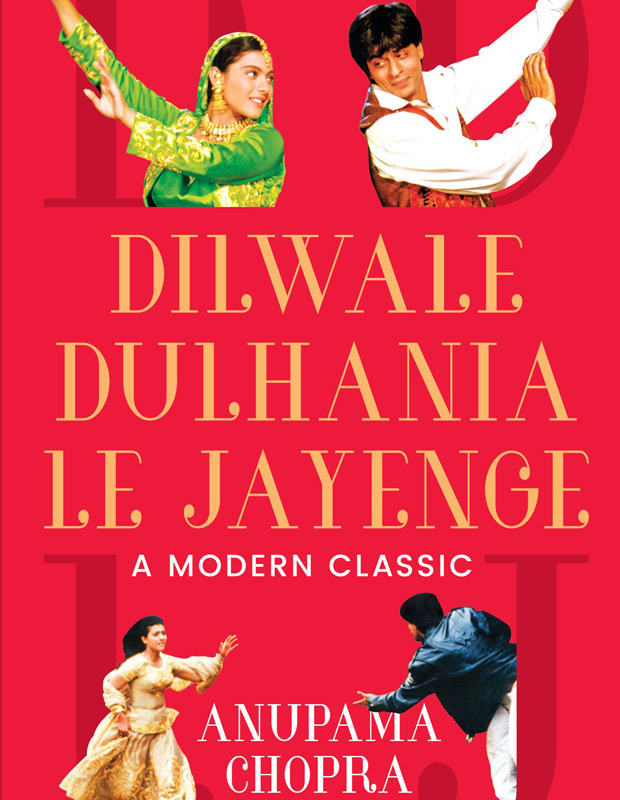 Well, reasonably, and not wonderfully excited since around a couple of years ago (in December 2014), author Nasreen Munni Kabir had already released a book on the film – Aditya Chopra relives….Dilwale Dulhaniya Le Jayenge. That book was special since it was also the first time ever that director Aditya Chopra had actually ‘spoken’ about the film. Hence, I did wonder what new would anyways come out of Dilwale Dulhania Le Jayenge – A Modern Classic. Yes, author Anupama Chopra has written quite a few interesting books which have made for an engaging and entertaining read. However, in case of DDLJ, a lot has already been written and there is hardly anything w.r.t. trivia which is yet to be unveiled. As a matter of fact, this is actually a mini-book of sorts, what with it being a small sized affair spanning across a mere 125 off pages. That said, as the adage goes, it has happened quite a few times that good things do come in small packages. Hence, I did go through the book in a jiffy. As I suspected initially though, the outcome left me quite underwhelmed. While the book is anyways not too high on anecdotes or trivia, even the ones which do appear give a sense of deja vu. There isn’t anything particularly new that you get to read in the book and even if there is something that comes across your way from round the corner, you don’t end up being amazed or surprised. That said, the book would still appeal to those who haven’t read anything on DDLJ till date, other than just watching the film. So whether it is Aditya Chopra’s fascination for Hindi films to the fact that he wasn’t sure whether DDLJ would be his first film to going through different actors when assembling his film’s cast to the doubts that many around him had around the film’s climax to the troubles that ensued around the film’s choreography and writing credits to the support that Yash Chopra provided his son while he was living his dream – there is a lot to be explored by that select segment of readers. In fact, while Anupama Chopra spends around half the pages in this book talking about the making of the film, the other half goes into the analysing phase. This is where the book ends up taking the literary route where you get to read around matters such as how the film tried to bridge the divide between Indians in India and abroad, how the characters went against the usual Bollywood formula of eloping and instead chose to go as per their parent’s wishes to how the film spoke a new language and stuff alike. Frankly, this is also the part where the book ends up taking an essay/white paper approach instead of entertaining. As for the person behind it all, Aditya Chopra, he too is heard, albeit for just a little duration. On the other hand you don’t really miss Shah Rukh Khan or Kajol talking about their film since that has happened ample number of times in the last 20 years. Frankly, in the hindsight, so much has been said and written about Dilwale Dulhania Le Jayenge in the two decades gone by; both by means of write-ups and particularly by countless references in films (majority from the house of Yash Raj itself) that one does wonder if it is about time to take a break of sorts from the subject. The film is successfully living its life, and without much of an influence from the external factors. Why continue to push efforts in that direction when something is functioning well on its own?